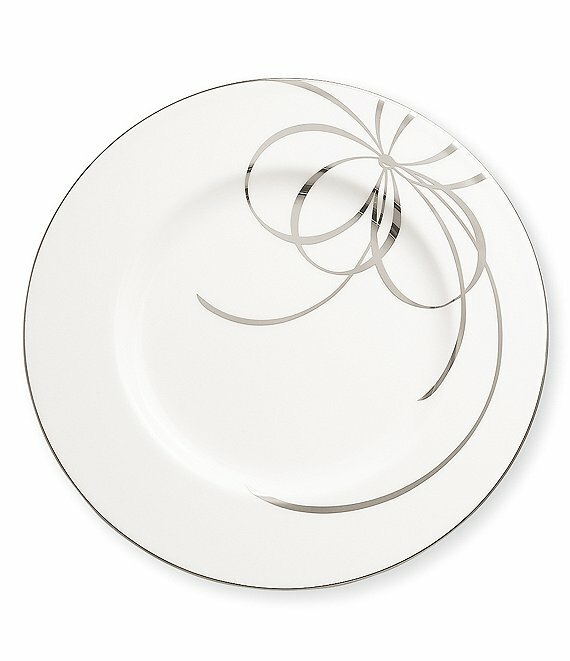 A delicate bow design and a platinum band grace this elegant fine white china accent salad plate from the Belle Boulevard collection by kate spade new york. Approx. 9". Dishwasher safe. Made in USA.